Our new lodge style retreat, just 30 metres from the shores of Lake Rotorua, captures the ambience of lake edge living. This comfortable spacious home has two bathrooms, full modern kitchen facilities (including two fridge freezers and microwave), walk in pantry/storeroom, wood burning fire, TV, VCR, CD, DVD player, Sky TV, washing machine, gas BBQ, fish smoker and free wifi. Combined with the facilities of "Willowmere Cottage" (also listed on this site) Willowwood and Willowmere provides the ideal venue for large family and friend get-together. Willowwood and Willowmere are on the same property and share access to the Lake. 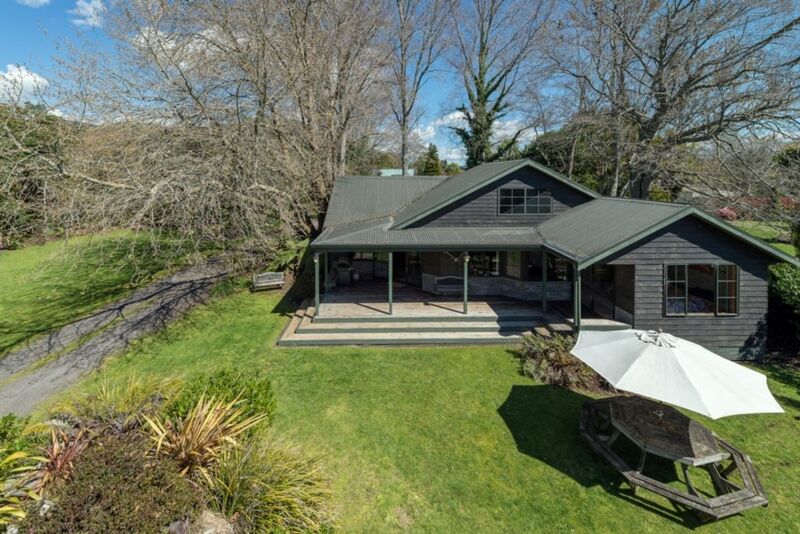 Nestled among native and old English trees, 8 kms from Rotorua city. An acre of park like grounds provides plenty of off street secure parking and space for children to play. Access to a safe sandy beach, kayaks, dinghies etc make this an ideal holiday retreat. Ngongotaha village is 3 minutes away and will cater for all your holiday requirements. Professionally laundered hotel standard linen and towels provided. We manage and rent holiday homes in and around the Rotorua District. We've got one of the best 'backyards' in the country with the forest, 18 lakes and numerous attractions within a short drive. Take a look at our houses if you're looking to rent or contact us for information about managing your holiday home in Rotorua. More room than we needed and the proximity to the lake was nice. It was very cold and rainy the night we arrived and we had a little trouble finding the narrow entrance and knowing which house it was. Owner left great instructions and a nice load of firewood so we could get the heat going. Kitchen and baths were clean. My only complaint was there were quite a few spiders. My family travelled over from the UK, so we decided to take them up to Rotorua for a week. The house was great for sleeping 10 of us and all the bedrooms worked out great for all of the different age groups. It was very quiet, parking for 3 vehicles and had access to the beach via another property. The hosts were very helpful with information and providing assistance where required. The only thing we would say is that it doesn't have a dishwasher which ends up as a lot of washing up for 10 people but I suppose that's why you have kids eh!!! Thanks very much we enjoyed it. Lovely stay. Right by lake so we enjoyed thr kayaking. Huge house, perfect for multiple families. Central to many fun activities.